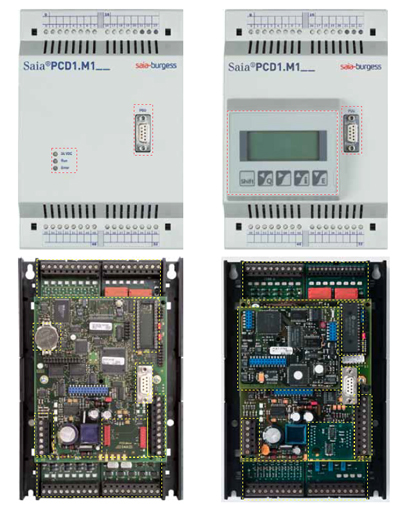 We are the UK's sole provider of support for legacy control systems made by SAIA (SAIA Burgess) - PCA0, PCA1, PCA2, PCD1, PCD2, PCD4 and PCD6 - and can advise on software modifications, upgrades and spare parts. With our decades of experience of designing, installing, maintaining and modifying control systems across a wide range of industries and applications we have developed considerable expertise helping our customers continue to use SAIA control systems which, while obsolete in terms of manufacturer support, still nonetheless function and meet their needs. However, where hardware failure and lack of economically available replacement parts means that a system has to be replaced, customers can often find that the original software is completely undocumented. MACOL has developed methods of reverse engineering software and, depending on the replacement system chosen, either converting it or in some cases exporting and re-importing it. The oldest of the SAIA systems, we are nonetheless able to provide support for both hardware and software. More information on the full range is available here. 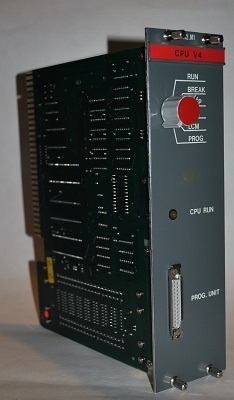 Second generation of the SAIA controller capable of using a higher level instruction set and the ability to communicate with external devices. The more modular design gives greater flexibility over input and output comfigurations. We are able to provide support for both hardware and software. More information on the full range is available here. 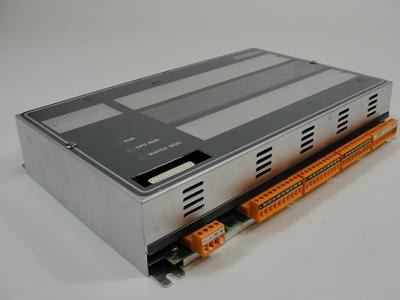 Rack mounted unit containing removable modules for power supply, processor and eight sockets for various configurations of inputs, outputs and communications. A second slide-in housing can be connected via a bus extension cable. With the extension housing the PCA2 can provide up to 256 inputs and 256 outputs. We are able to provide support for both hardware and software. More information on the full range is available here. The PCD1 can be snapped onto two 35 mm top-hat rails or screwed to any other flat surface with 4 M4 screws. The controller has 64 inputs and outputs on 4 I/O module sockets. The PCD2 can be snapped onto two 35 mm top-hat rails or screwed to any other flat surface with 4 M4 screws. The M110 has 128 inputs and outputs on 8 I/O modules. 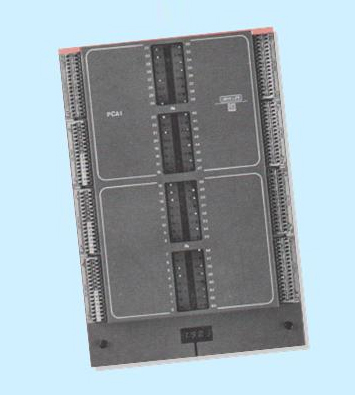 The M120, M150, M170 and M480 versions have 255 inputs and outputs on 16 I/O modules. The M120, M150, M170 and M480 versions can also utilise components from the PCD3 and 4 ranges. Using PCD3 components, the M170 can be expanded to 510 inputs and outputs on 32 I/0 modules and the M480 expanded to 1023 inputs and outputs on 64 I/O modules. Up to 1 MByte user memory: For programs, text and data blocks. 1 MByte flash memory as option for ease of down/uploading program modifications and backups. Up to 6 serial data ports: Can be fitted with a choice of RS 232, RS 422, RS 485 or TTY/current loop 20 mA. Field bus connections: Can be fitted with a choice of PROFIBUS FMS, PROFIBUS DP as master or slave and Ethernet-TCP/IP. Standard inputs: Fast counters and interrupt inputs directly on CPU of controller (only PCD4.M170). 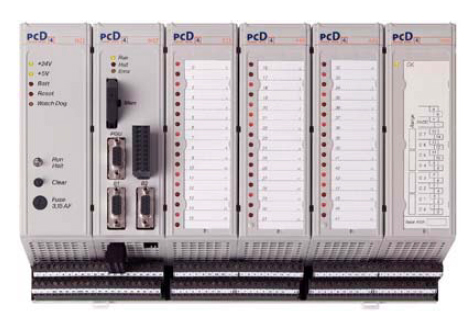 The series PCD6 offers maximum extension versatility with regard to the number of processor modules as well as to the number of input and output modules. 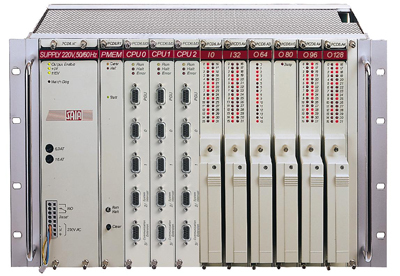 Owing to its modular structure, the PCD6 series may be adapted to all requirements ranging from the basic system with a single processor module and up to 256 inputs/outputs to the large multi-processor system with 5120 I/O or it may be upgraded gradually in accordance with the users’ requirements. The 19-inch rack units, which have proved worthwhile with the PCA2 series for years, are used as housings. All functional modules are inserted in these rack units and connected at the rear via the bus board.